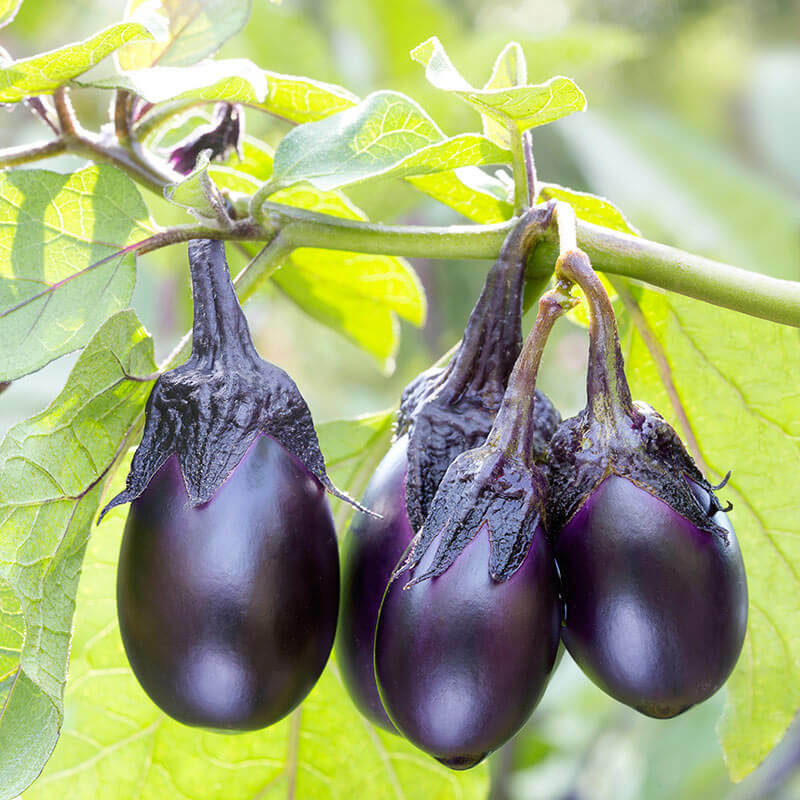 Eggplants are one of the most delicious and versatile vegetables you can grow. Fortunately, they do not require too much care, and are fairly easy to grow. Today we’ll show you how to grow eggplant in pots or containers because it will save you a ton of space, and, if you live in an apartment, can also be grown on your balcony! If you do have a big yard though, and can afford the space, follow the same instructions by planting directly into the ground. Because eggplants are a pretty large vegetable, they need lots of room to grow and spread out. Choose a big container, at least a 5 gallon capacity pot or container. Make sure that the pot has large drainage holes as well – this is very important. 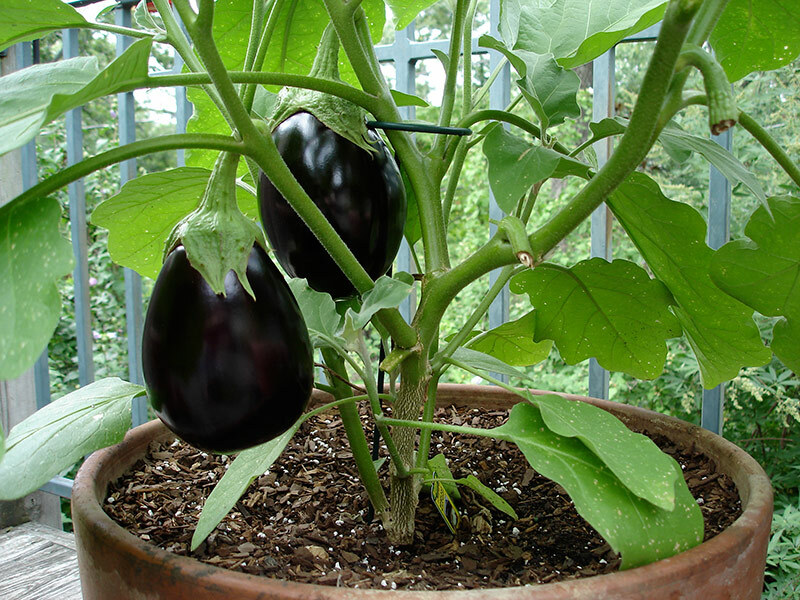 For eggplant to grow big and healthy, you’ll need two parts good quality potting soil and one part sand. This will ensure adequate nutrients and good water retention. Unless you live in a very warm and sunny climate, it’s highly recommended that you purchase eggplant shoots/seedlings from your local nursery. This will give you a major head start! If you choose to plant from seed, use the same soil mix and plant the seed in a small pot. Remember to water the soil regularly and place the pot in a warm, sunny spot. Once the eggplant has formed seedlings, gently transplant them to a larger pot. Leave 12-14 inches of space in between each plant. Plant the seedlings at the same level they were in their nursery pots. Before covering up the hole with soil, add a handful of time release fertilizer. Then, cover up with soil and water your plants. Water regularly, and make sure the soil is never dry. Over watering can be a problem though, so make sure you’re not drowning your eggplants! Make sure your plant receives enough sun – about 6-8 hours daily. Install a support system such as a small trellis or tomato cage. How to Grow Eggplant in Pots or Containers was last modified: April 4th, 2017 by Aniela M.